The Ladies section is one of the busiest sections at Ham Manor, with many competitions and social gatherings throughout the year. Christmas is a time when the Ladies section also enjoys some of their biggest events in the calendar. 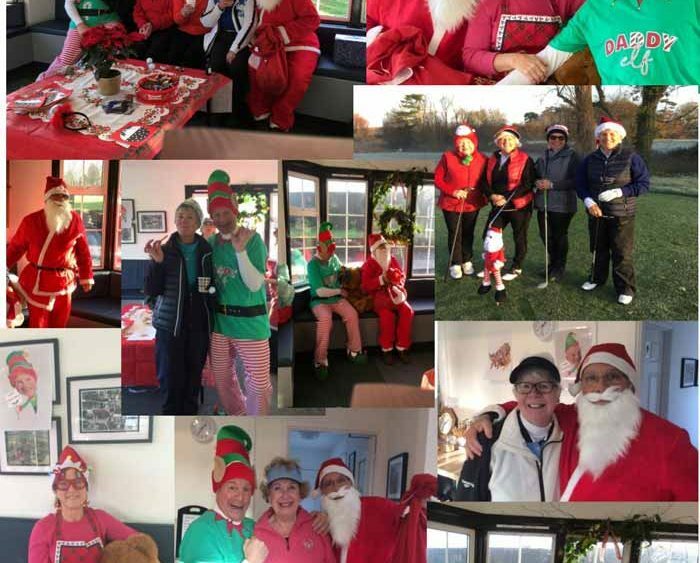 On Tuesday 11th December 72 ladies took part in the fun Christmas Competition. 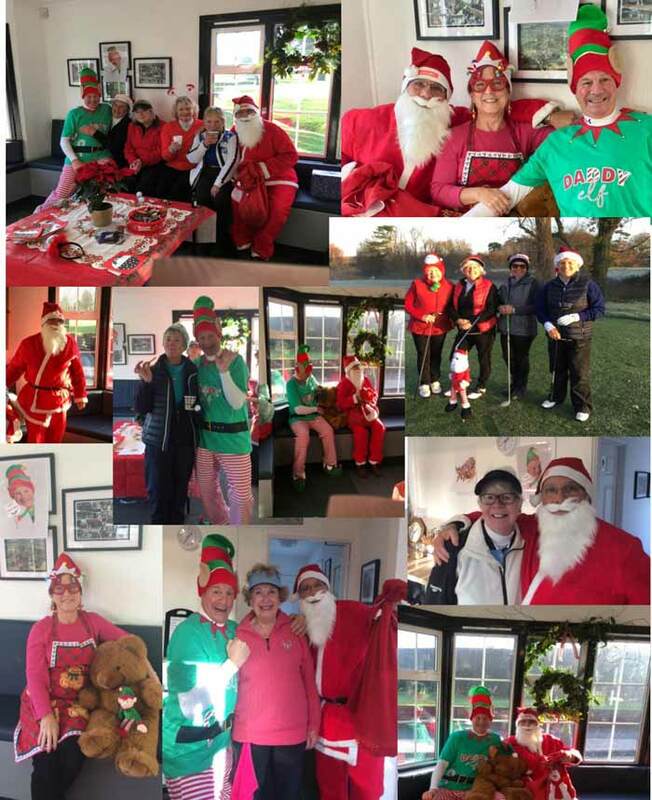 Despite a very chilly start for those out early, everyone was in high spirits, thank in part to the seasonal hats being sported!! Halfway round, in The Gratwicke, the Ladies were treated to a delightful array of mulled wine, cheese straws and mince pies. This was provided by Daddy Elf (our Captain Steve Dillamore) and Father Christmas (Vice Captain John Washer). Each lady was treated to a gift, provided and beautifully wrapped by the fellas. 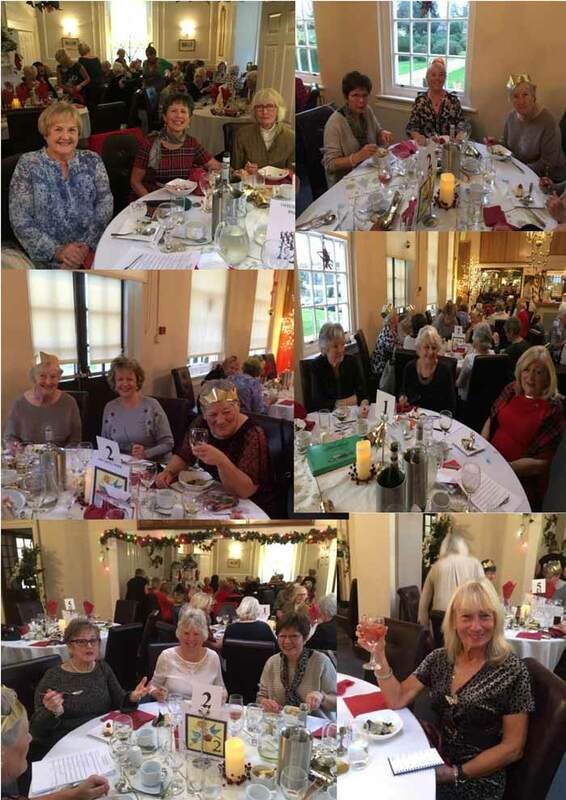 A week later a fantastic 80 ladies attended the Ladies Christmas Lunch on Tuesday 18th December. How lucky we are at Ham Manor to have such a fantastic catering team who provided an excellent meal and wonderful service. All ladies entered into the Christmas spirit creating a wonderful festive atmosphere and a great way to start the Christmas period. A huge thank you to all those involved in the day to make it such an enjoyable occasion!